When was the last time you changed the oil in your emotional tank? If you take your car on short trips or for longer rides, it’s important that you stick with the routine oil change every 6 months. Even if your car hasn’t racked up some serious miles under its tires, failure to swap out oil at regular intervals will cause serious damage to your engine. At Valvoline Express Care Oil Change Brampton, our premium oil lubricant prevents deposits from forming on the engine’s component, keeping it running optimally. If upon inspection of the dipstick under the hood, the oil turns black or gritty that you can’t locate the dipstick in weeks, you need an oil change immediately. Don’t put it off. If you do, the filter will become clogged, and the dirt in the oil will make it thick, and cause further damage to the engine. At oil change Brampton, our technicians will pull out the dipstick and wipe it clean. Once the dipstick is placed back in the chamber, it should have a slight amber tint. Now that’s taken care off, don’t forget to check the oil level while you’re at it. 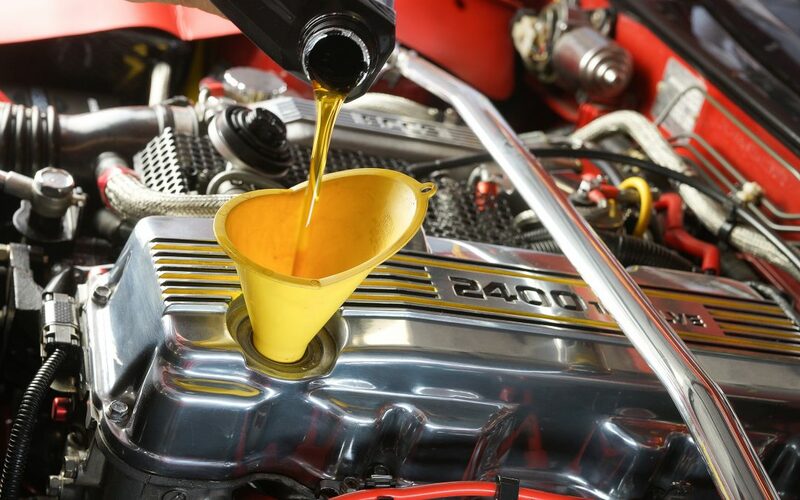 Since the purpose of motor oil is to lubricate your engine, it’s easy enough to tell if you’re running low. Does your engine sound like a water boat? If your engine seems to be louder than it usually is, it probably doesn’t have enough lubrication. If the oil in your car is too old, it may break down and become less effective. This is what causes the pieces of the engine to rub and grind together, creating a lot of abnormal noise from under the hood. While that’s annoying, it also means the parts are already overheating, and revving up the engine. In order to get rid of such conditions, take your car to oil change Brampton. We will put in fresh oil right away. Need a reminder? If you can’t recall the last oil change, it has been far too long. Bring in your car for service at oil change Brampton as soon as possible. It’s always a good idea to follow the manufacturer’s recommendation, which can be found in your owner’s manual or right on the oil filler cap. Stop by, and we’ll get you in, out, and back on your way as quickly as possible. No appointment is necessary. As the average age of the vehicles on the road continues to increase, so does the need for routine maintenance. If you take your car to oil change Brampton every 3000 miles, it will reward you running for years to come!